The Pakistan Army had also fired and shelled forward areas along the Line of Control (LoC) in Sunderbani, Nowshera and Khour sectors of Rajouri and Jammu districts yesterday. Jammu: Two Indian Army jawans and a civilian were injured in firing and heavy mortar shelling by Pakistani troops targeting civilian areas along the LoC, including in Poonch district and Nowshera town in Rajouri today, an official said. The Pakistan Army had also fired and shelled forward areas along the Line of Control (LoC) in Sunderbani, Nowshera and Khour sectors of Rajouri and Jammu districts yesterday. Two Pakistani soldiers were killed in retaliatory fire by Indian troops, an army official said. "Pakistan troops resorted to heavy mortar shelling in Sunderban sector tonight. Due to shelling, there was a forest fire," Deputy Commissioner of Rajouri Shahid Iqbal Choudhary said. There was shelling in Mangiote, Kalai and Minka in the same sector, he said, adding the Pakistani Army targeted civilian areas in Kalsia, Hania, Troi nalla, Baba Khori and Nowshera town located deep inside Indian territory. A civilian was injured in the shelling in Kalsia, where a house was also damaged, Mr Choudhary said. "Shells landed near Nowshera town. It is a worrisome situation as interior areas are being targeted," the deputy commissioner said. Earlier in the day, two Indian Army soldiers were injured in firing and shelling by Pakistani troops along the LoC, an official said, adding the injured soldiers were hospitalised. Pakistani Army resorted to unprovoked and indiscriminate firing of small arms, automatics, and mortars from 8.45 am today along the LoC in Bhimber Gali sector of Poonch district, a defence spokesperson said, adding the Indian Army was retaliating strongly and effectively. 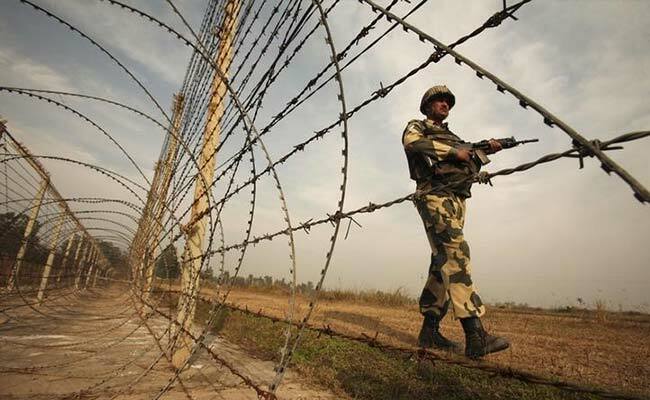 Ceasefire violations along the LoC and the International Border in Jammu and Kashmir have left 21 people, including 12 security personnel, dead and more than 80 others, mostly civilians, injured this year.